Wealth-X and Arton Capital's annual giving report focuses this year on Syrian refugees, saying about $800,000 from each HNWI could feed and shelter them all. The world’s ultra-high-net-worth donors contributed a total of $112 billion to charitable causes in 2014, according to a new report from Wealth-X and Arton Capital. The Philanthropy Report 2015 said the two firms’ proprietary Capital Major Giving Index rose by 6.4% year-over-year, and was at an all-time high of 234, topping the previous high of 232 in 2006 before plummeting to 39 in 2008. The index, which is up 25% since inception, has tracked trends in charitable giving by donors with at least $30 million in net assets since 2004. It takes into account the size of gifts from ultra-wealthy individuals and the number of gifts these individuals make on a yearly basis. According to the report, the typical philanthropist the index tracks donates $29 million in his or her lifetime, and that 65% of rich individuals donate more than $1 million. In the U.S., billionaires who created their own wealth give $180 million over their lifetimes. Among global ultra-wealthy donors, Indian philanthropists are most generous, contributing an average $96.6 million over their lifetime, followed by U.K. donors’ $32.7 million and Hong Kong donors’ $32.3 million. The average ultra-wealthy U.S. donor gives $31.6 million. Based on lifetime contributions as a percentage of net worth, U.K. donors give 12.3% to favored causes. U.S. donors give 8.7%, and those in Hong Kong 7.6%. Emerging forms of philanthropy, such as venture and impact investing, make up 7% of UHNW philanthropy giving, or $7.8 billion, the report said. Education remains the most popular cause for donations by ultra-wealthy individuals, followed by health. Donors are also focused on the global refugee crisis. The report estimated that those displaced by war now numbered some 60 million. Approximately 4.3 million registered Syrians are currently displaced as refugees, and providing them food, shelter, education and a stipend will cost around $60 billion, according to the report. It said one in 28 rich individuals, numbering 7,441, gave a total of US$2.7 billion to the refugee crisis in 2014, with the average gift size $357,500. The report noted that with 211,275 ultra-wealthy individuals worth $30 trillion globally and 5,975 such individuals worth $995 billion in the Middle East North Africa region, an opportunity existed to help close the financing gap. “If each UHNWI contributed $815,100, or just 2.8% of their lifetime giving, all registered Syrian refugees could be accommodated,” it said. 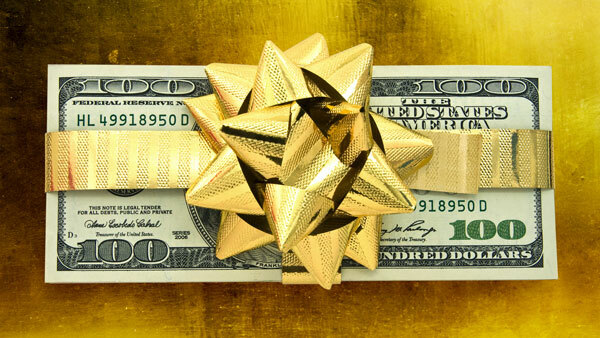 — Check out Giving Back Has Made This 41-Year-Old Billionaire Less Popular on ThinkAdvisor.